There’s something about the reappearance of cherry blossoms and outdoor seating that gives us a new start each spring. People seem to get a little friendlier, more patient, conscientious even. And while the economy is a mess, and most people we know are scratching their heads at the gas pump, in the check-out line at the grocery store (as a recent CNN.com headline suggests: “You paid WHAT for lettuce? !”) and closing their eyes as they pay their bills and file late tax returns, there’s just something about those cherry blossoms. With the Ides of March behind us, as are the endless vagabond nights in Austin at SXSW (good on ya, Johnny Flynn and Joe Lean! ), the gang at Sentimentalist is slowly waking up from our prolonged winter fogs and stepping out to fresh, temperate afternoons in the 60s and 70s, lingering brunches with friends, and celebrating the sunshine on our pale faces. Our calendars are already filling up with some of the most exciting live shows around: The Raconteurs, The Kills, She & Him, Flight of the Conchords, Cinematic Orchestra, Elbow, and we’re also looking forward to the Summer festivals ahead, such as the All Points West Music & Arts Festival that will be rocking out in our own backyard. (Well, Jersey). Yes, spring has definitely sprung around the Sentimental way. 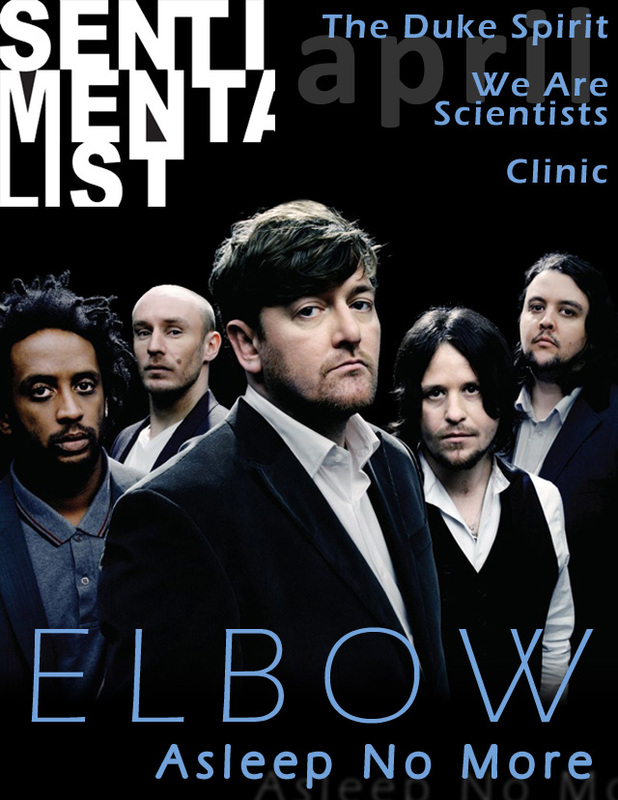 So, while we we unpack our hot weather gear from dusty storage boxes, do make yourself some iced tea and settle in for dynamic interviews with Guy Garvey of Elbow, Leila Moss of the Duke Spirit, Jarboe, Ade Blackburn of Clinic, and Keith Murray of We Are Scientists. Many assumed Elbow had taken a few years to luxuriate in some deserved time off between now and their 2005 release, Leaders of the Free World. However, their latest album, The Seldom Seen Kid, was busy in the making, and needed that long stretch to be pondered and perfected, like a fine wine, before the band was ready to deem it finished and let it go. You could almost sense the desert landscape emanating from the songs of The Duke Spirit’s latest album, Neptune, lending an added degree of mystery and soulfulness to its overall sound. Though the album has a strong nautical theme, if you listen closely, another uncharted, yet arid presence can also be felt in the details. Brooklyn’s We Are Scientists are getting lots of love in the UK. The boys are currently touring across the pond in support of their latest album, Brain Thrust Mastery, (which debuted at #11 in the UK album charts), spreading their witty WAS wackiness wherever they stop. I switched time zones and chatted to singer/guitarist Keith Murray while he was awaiting sound check in Sheffield, England. 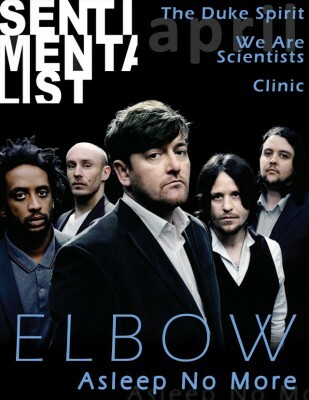 NME lovingly refers to the surgically-styled Clinic as “the maddest bastards in Liverpool” in reviews, but we say they’re more like the Jekyll and Hydes of British indie. Their new album, Do It!, conjures everything from cinematic nightmares of burlesque disco dances in looney bins to doo-wop love-ins on the planet Mars. After having spent a year in the UK and being smothered with new bands, it became clear that Youthmovies took the cake as the year’s most interesting act. The Oxford-based quintet defies the trends of indie rock and any disposable genres suffocating the scene. Unless you are an avid fan of the obscure, you’ve probably never heard the name Jarboe. Part spoken-word poet, performance artist and composer, she evades explanation by allowing herself the freedom to pursue any and all aesthetic endeavors.